Tony and Jennifer Fuentes of Portland, Oregon went with their children (Mila, 8 and Gael, 3) to the Long Beach Peninsula of Washington, about 90 minutes west of Oregon. 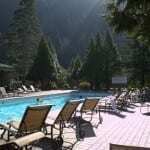 It’s right on the Pacific Ocean – a perfect way for shopowner Jennifer (she runs the excellent Milagros Boutique in Portland) and family to relax. Jennifer often returns to the Long Beach Peninsula to stay in a beach rental; she loves the area. It’s not quite as well-known as the Oregon Coast, but it offers amazing foodie finds and small-town coast fun. Let’s find out this frequent-visitor’s favorites and tips for a Long Beach family vacation. Q. 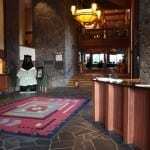 Did you find a family-friendly hotel in Long Beach, Washington? We stayed in a vacation rental. 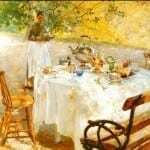 In our experience, if you are staying more than a couple of nights, the cost difference between a hotel and a rental is pretty small (and can be made up with the savings of eating in). Mainly, we like to be able to relax and not worry about disturbing neighbors — family life is naturally noisy and more so with the excitement of being at the beach. It is also nice to be able to stretch out and feel more at home. Q. 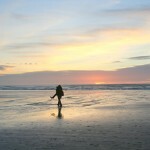 Why do you like to go to the Long Beach peninsula with kids? The Long Beach Peninsula’s seemingly endless sandy beach makes it easy to find a personal slice of paradise. 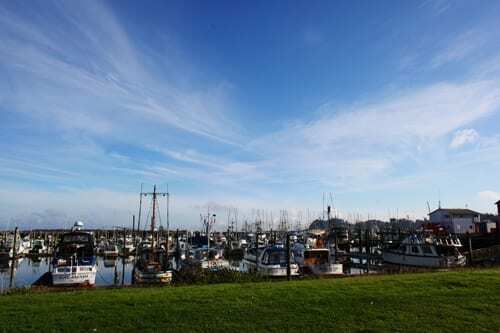 Ilwaco is a lively working marina with fish fresh off the boat and a surprising number of art galleries. Cape Disappointment has wonderful views and hikes. The Willapa Bay Wildlife Refuge gets you close to nature of all kinds – we have seen black bears, deer, bald eagles, and blue herons among other fauna. 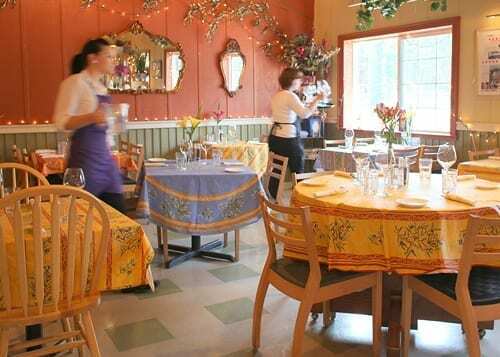 Strolling the historic streets of Oysterville is a unique experience. Finally, the city of Long Beach is chock full of tourist diversions of all kinds. Q: Do you have any favorite family restaurants in or around Long Beach? Favorite menu items? 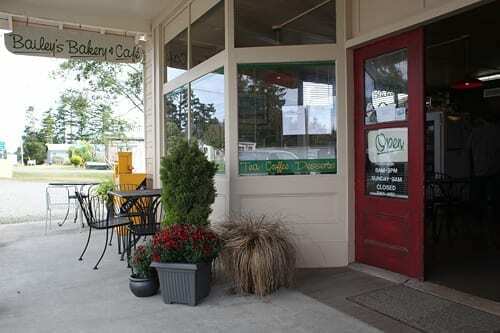 The family favorite is Bailey’s Bakery and Café in Nahcotta. This little bakery cafe serves up wonderful pastries and delish sandwiches and soups. They have a kid’s menu and Mila refers to their grilled cheese sandwich (made on house baked bread of course) as “heavenly”. The portabello sandwich is a hit with the adults as are their revolving soups and fresh scones in the morning. You can eat in or, as we prefer, eat outside and take in the view of the bay. One thing to remember about Bailey’s is that they are cash only and the closest ATM is about a mile away in Ocean Park. Of course, we do some cooking for ourselves as well. 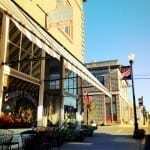 We usually hit Okie’s Thriftway or Jack’s Country Store in Ocean Park for provisions since we are tend to stay on the north end of the peninsula. We also literally drive up Sandridge Road, which is the main drag on the bay side, and buy farm fresh eggs at one of the road side stands – generally $2.50 for a dozen lovely free range beauties! And fresh local oysters or clams await you at the Sea Farm in Oysterville. For organic and local options, there is the Green Angel Gardens Farm Store on Sandridge Road as well as the THC Organic Market in Long Beach. THC also offers up some tasty smoothies. By the way, a place that is wonderful but not conducive to a family dining trip for us at this point, is Jimella’s Seafood Market & Café in Klipsan Beach. It’s not inexpensive, dinner entrees are in the high $20 range, but it is truly worth it. Jimella's restaurant interior -- fancy, but not too fancy! Q: What kinds of things do you like to do in Long Beach with kids? We are drawn to the outdoors in the area. The kids love to dig, dig, dig in the sand as well as fly kites on the beach and chase the waves. Which is great because it is always free and fun! We always enjoy kayaking on Willapa Bay. The bay is sheltered from the coastal winds, so even a windy day on the beach will only be lightly felt on the bay. The tides are not so strong that you are fighting the current and the boat traffic is very light so there you are rarely dealing with wakes. We love to paddle over to Long Island in the middle of the bay, follow its coastline and even land there to enjoy a packed lunch and some exploring. If you launch from the Port of Peninsula (just north of Nahcotta) or the boat ramp across from the Willapa Bay Wildlife Refuge Headquarters, you don’t need to worry about the tides in the bay (from other launches in the bay, you want to avoid low tide). Mila is a huge horse fan. Although we didn’t do it this trip, last time we were in the area we took a ride on the beach with Back Country Wilderness Outfitters. 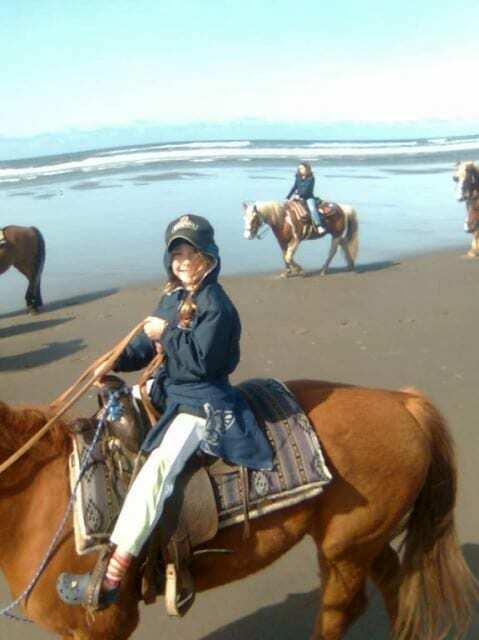 Mila had her own steed, Jen and Gael doubled up on a draft horse named Dugan for a gentle one-hour ride on the sand. Hiking at Leadbetter Point State Park is very family friendly and the scenery is often breathtaking. The unique mix of tidelands and forest that characterize this area really comes to life at this north end park and the neighboring section of wildlife refuge. 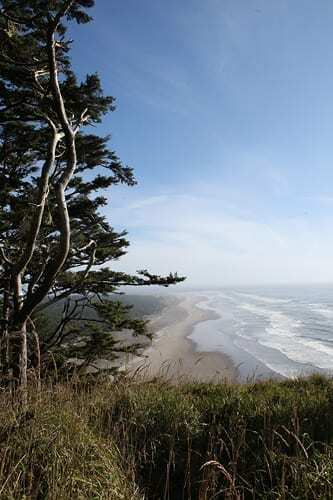 Hiking at Cape Disappointment State Park and strolling (or biking) the Discovery Trail in Long Beach is also a delight. This trip, we were there for a holiday weekend and took advantage of the many local events. The Saturday Market and Fireworks in Ilwaco, a fun community parade in Ocean Park and a local BBQ. There is no shortage of activities happening on any weekend, especially in the summer. What do you do on rainy days in Long Beach, Washington? Oddities at Marsh's Free Museum. Can you find the tapeworm? Enjoy the bizarre? Browse around Marsh’s Free Museum in Long Beach. Jake the Alligator Man (half man! half alligator!) 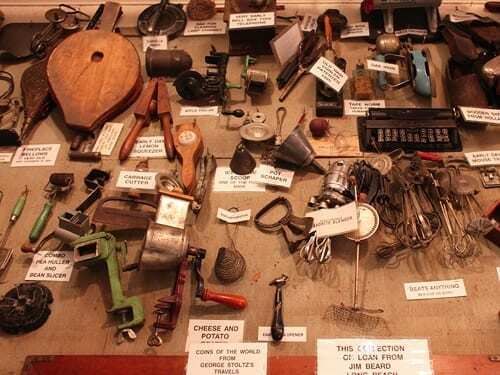 is the main attraction but their collection of antique penny arcade games is something to see as well. Spend some time discovering the world of kites and make some kites of your own at the World Kite Museum in Long Beach. We saw fighting kites from India and Afghanistan, hand painted kites from Japan, classic dime store kites from the US, musical kites from Thailand and much more on our visit there plus they had a kite making station for the kids. Check out a working Cranberry farm and learn more than you ever thought possible about Cranberries at the Cranberry Museum on Pioneer Road in Long Beach. Chill with a locally roasted cup of coffee at Long Beach Coffee Roasters. Go to the wonderful Lewis and Clark Interpretive Center at Cape Disappointment State Park. And yes, you can also hit the arcades and souvenir shops in Long Beach or do some browsing and shopping at the Port of Ilwaco Marina. We love Time Enough Books at the Marina. It has a nice selection of children’s books and a play area for the kids. Q: Anything else you’d add about Long Beach as a great family vacation destination? If you enjoy a promenade-style beach experience, main street in Long Beach has it all – arcades, bumper cars, a go cart track, fudge, ice cream parlors, bike and moped rentals, and so on. If you want to see a slice of peaceful coastal living, Oysterville awaits. You can visit farms and fisheries, see arts and crafts, enjoy some good food, hike, bike, paddle, and much more. A stop at the Long Beach Visitor Center for a full spread of information and getting tips on community events that are happening is always worth the time. The staff is always very helpful with ideas. Of course, although there seems to be no end to activity options, you are allowed to just relax! Put down a beach blanket and just lie there; let the crash of the waves soothe your thoughts. Just sitting and experiencing the grace of nature around you really should be a part of any trip to the peninsula. [WORDPRESS HASHCASH] The comment’s server IP (74.208.16.17) doesn’t match the comment’s URL host IP (74.208.26.153) and so is spam.